Garmin-Asus has officially announced its latest Android-powered touch-enabled smartphone, named as Garmin-Asus A10, which includes an array of advanced, powerful features that ideal for pedestrian navigation. 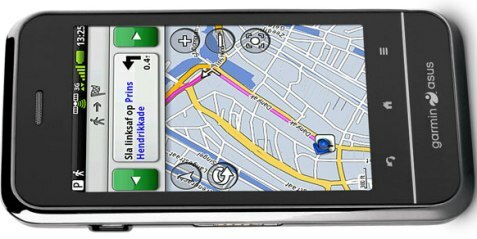 In addition, Garmin-Asus A10 also supports optional cityXplorer maps for easy planning and using routes that include public transit options like bus, tramway, metro and suburban rail systems. Garmin-Asus A10 full-featured Android smartphone that comes with a powered audio mount for magnifying the voice commands’ volume is expected to hit European and Asia-Pacific market by mid-2010, but no words on its price yet.